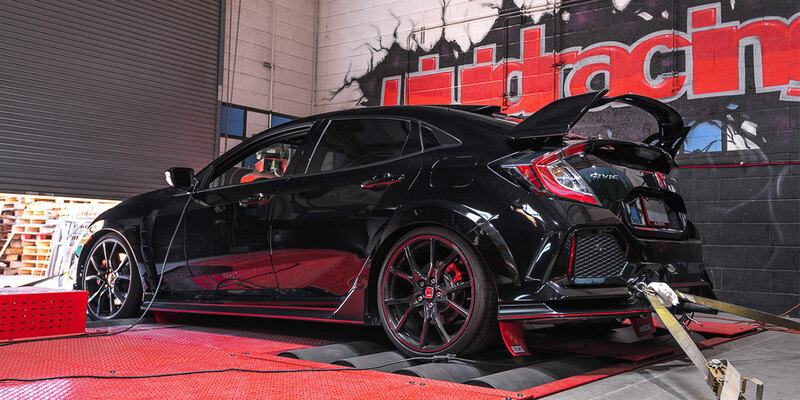 When Honda announced the FK8 Civic Type R was coming to the US, it polarized enthusiasts. 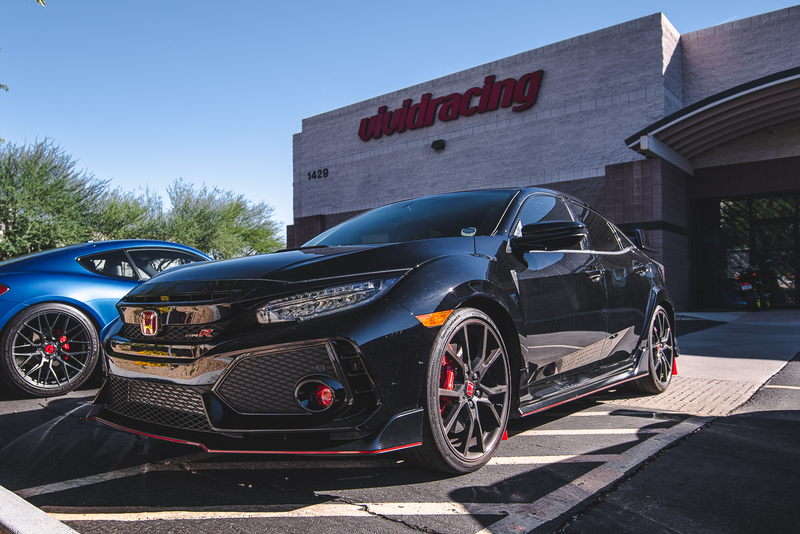 Although it’s the fastest front-drive car ever, it lacked the high-revving naturally aspirated power-plant that Honda used in previous Civic Type R models. It might not rev to 9k RPMs, but the new 2.0L turbo-charged K20C1 engine is much easier to squeeze power out of compared to the old naturally aspirated engines. With 300+ horsepower, the FK8 is by far the most powerful production Civic ever. On the street, it’s an animal which can eat up unsuspecting “sports” cars. Some enthusiasts might argue that 306 horsepower is plenty for a front-wheel-drive car, but as enthusiasts, we always want more. As we mentioned above, it’s easy to get more power from the K20C1. Our tuning division, VR Tuned, has developed an ECU flash which not only got big power from the FK8 but also kept it safe. 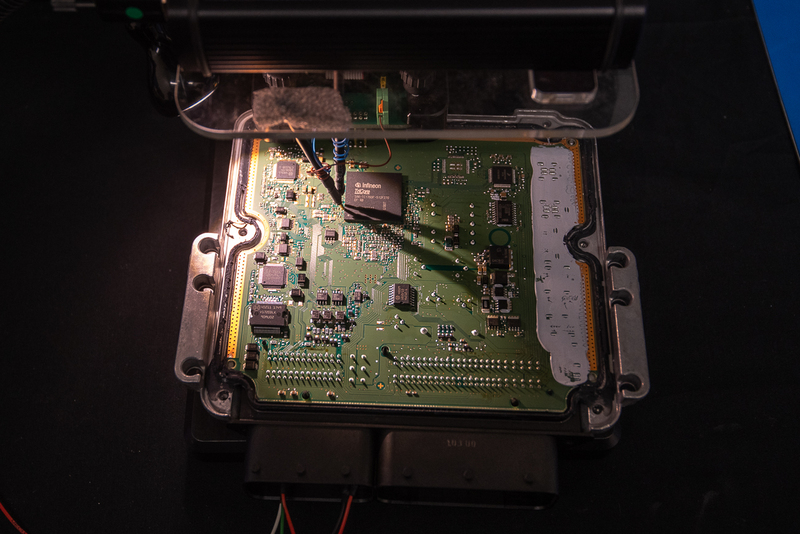 The new VR Tuned ECU Flash for the FK8 Civic changes air/fuel ratio targets, ignition timing, boost, and many other parameters of the ECU. The change is parameters exposes performance that Honda left on the table. On our baseline runs, the FK8 put down 249whp and 257wtq. Keep in mind, measuring wheel horsepower will give you a lower number than the advertised crank horsepower rating. Torque comes on early but stays flat: a sign that the turbocharger is being held back. After getting a few baseline runs, we popped the ECU open and flashed the new tune file on it. 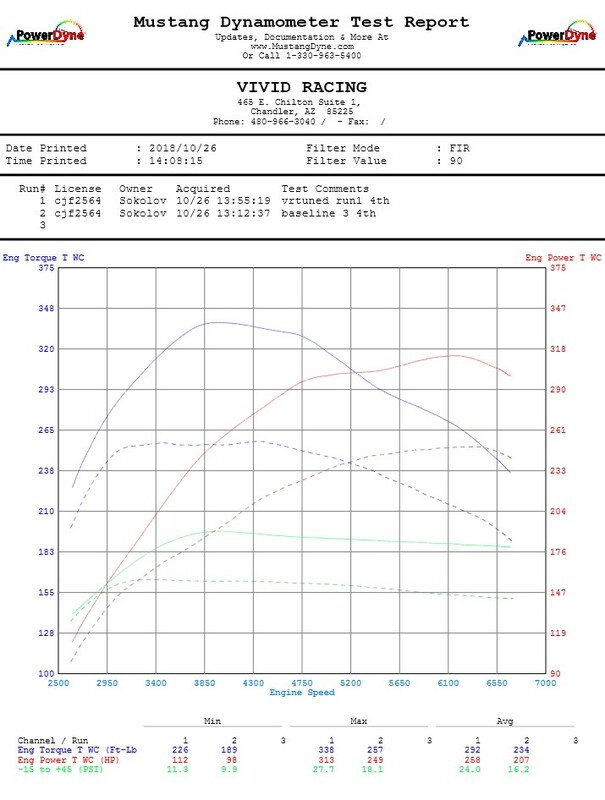 With the new tune file installed, the FK8 put down 313whp and 338wtq, representing a gain of 64whp and 81wtq. Where the torque once flattened out, it skyrockets up and peaks at 3800RPM. This massive gain in low-end power turns the FK8 into a beast on the street. The big increase in torque continues to the top-end which results in big horsepower gains. Overall, the tune file we’ve developed thrills us, and we’re excited to offer it to our customers. With huge low-end torque gains, your FK8 will pull hard right off the line. The big top-end power gains put the FK8 into a whole new category of front-wheel-drive performance. On top of the power gains, throttle response, turbocharger lag, and fuel economy are improved. If you have questions about FK8 Civic Type R VR Tuned ECU Flash, please contact us. You can reach us by phone at 1-480-966-3040 or via email at sales@vividracing.com. Do you do ECU tunes for infiniti? I have a 2007 M35. I live here in the valley. Thanks! We do cover some Nissan/Infiniti models, but not all of them. We don’t have an M35 tune listed on our website, but we might have a file for it. Feel free to call us 1-480-966-3040 or email sales@vividracing.com to speak with a sales rep. Thanks! Bryce Cleveland on Will a Bigger Intercooler Add Horsepower?